VISTA — Patrons of a 7-Eleven in Vista will soon be able to buy beer along with their Butterfinger. Last night the Vista City Council voted 3-2 to grant a special use permit for the off-site sale of beer and wine at the convenience store located at 902 S. Santa Fe Ave. It’s operated by Harpreet “Happy” Singh. Councilmembers Cody Campbell and Dave Cowles cast dissenting votes. “I wish they had (granted the permit) in the first place,” Singh said. The request was brought before the city’s planning commission twice this year and was denied both times. In February, Cadence Development, on behalf of 7-Eleven, appealed to the Council and was also shot down, in part, due to concerns about vagrancy and loitering on the site. In July, Cadence representative Robert Beery expressed that the economic viability of Singh’s store was in jeopardy in a letter to the Council. He also suggested Singh’s 7-Eleven needed alcohol sales to get in the black. “The store is currently unprofitable and 7-Eleven Corp has notified the Landlord that it will close the store if sales do not improve,” Beery wrote. In an attempt to quell council concerns, 7-Eleven installed flood lights, security cameras and installed fencing to reducing access from the front to the back of the store. “The introduction of a convenience market was neither the cause of nor a deterrent for the systemic homeless problem at the property,” he wrote. The site improvements were enough to sway the vote of deputy Mayor John J. Aguilera who had previously voted to deny the alcohol permit. “Every business owner should have the opportunity to thrive,” Aguilera said. He said the 7-Eleven is better than a vacant building. Cowles seconded his unsuccessful motion and added that he had received a letter from a student asking why the city allowed areas to become “overconcentrated” with alcohol licenses. Primary criteria for deciding whether to grant a license for off-site sales of alcohol are an analysis of the concentration of existing licenses in the affected Census tract, and crime statistics. The 7-Eleven store is not located in a high-crime area but there are already three off-site sales licenses, the maximum allowed for that tract by the California Department of Alcohol and Beverage Control. 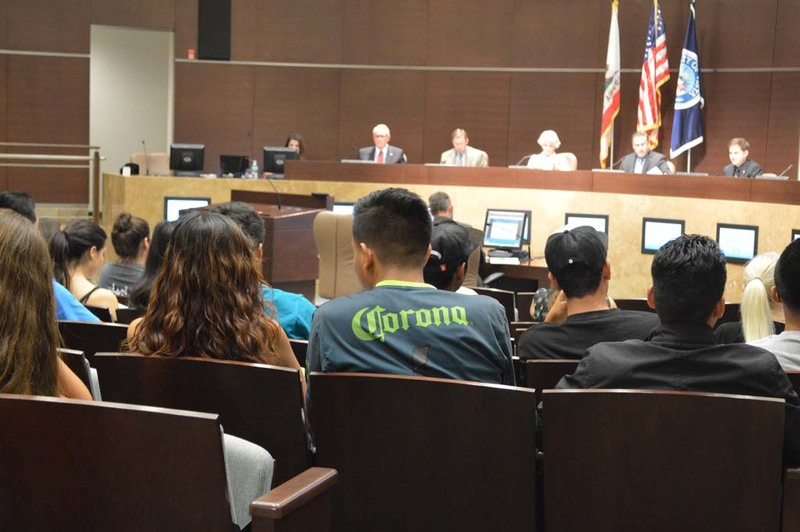 Last night’s vote will result in too many stores in the area selling alcohol for consumption off-site, a fact echoed by many of public speakers concerned about youth access to alcohol. In a council chambers nearly filled to capacity with ethnically diverse students trying to fulfill a school requirement, Singh told his own story of a search for the quintessential American dream through hard work and education.